ELIZABETH CITY, NC – Just announced – Fiat Chrysler Automobiles (F.C.A) will invest over $5 billion into U.S. auto plants across the country. 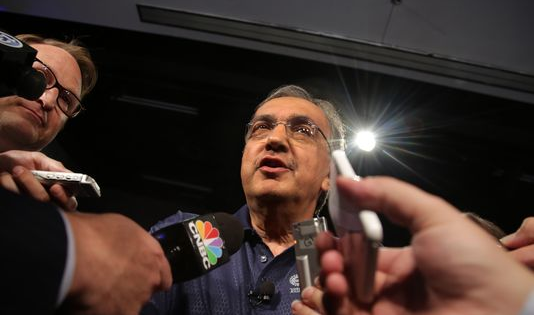 During recent UAW (United Auto Workers) talks in Detroit, F.C.A CEO Sergio Marchionne spoke to the media and confirmed a $5.3 billion investment; a sure surprise to all of those in attendance. The automotive company's massive investment will help secure thousands of UAW jobs in a variety of auto plants. The investment breaks down to $3.4 billion to be invested into assembly plants, $1.5 billion at engine and transmission plants, $315 million at stamping plants, and $34 million at Mopar parts distribution plants. Throughout the UAW conversations, it also came to light that the Jeep brand does in fact have plans to move forward with a 2018 release of the Jeep Grand Wagoneer which will likely be produced in Warren, Mich. according to the Detroit Free Press. It will be interesting to see how the UAW responds to Fiat Chrysler Automobiles investing over $5 billion into U.S auto plants. It's definitely a positive announcement for the auto industry, and it's expected that autoworkers will soon be fully briefed about the economic terms of this new investment deal. As the investment deal continues to play out, Perry Auto Group will keep you up-to-date on all things FCA including new vehicle offerings! Perry Auto Group has two dealership locations to serve you better at 1005 W. Ehringhaus St, Elizabeth City, NC, 27909 or 1001 Halstead Blvd Elizabeth City, NC 27909. Stop in for any of your auto or community needs, or feel free to give us a call at (252) 338-9100.